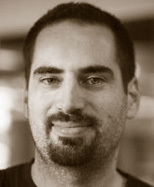 Olivier Grisel is a Software Engineer expert in machine learning specializing in text analytics and natural language processing and a regular contributor to the scikit-learn machine learning library. Olivier graduated from Imperial College London and ENSTA ParisTech with a MSc in Computer Science. This webcast will review Scikit-learn, a widely used open source machine learning library in python, and discuss some of the new features of the recent 0.16 release. Webcast: What’s New in Scikit-learn 0.15 and What’s Cooking in the Development Branch?